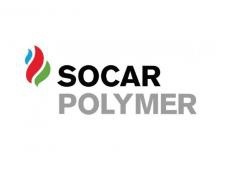 SOCAR Polymer LLC plans to sell products worth $350 million annually, the General Director of the company Farid Jafarov told reporters on Oct. 5. About 75-80 percent of production is planned to be exported, Jafarov said. It was earlier reported that the revenues from the activities of SOCAR Polymer plants for the entire period of activity are estimated at $6.3 billion. The SOCAR Polymer project is being implemented at the Sumgayit Chemical Industrial Park. The production capacity of SOCAR Polymer factory at the first stage will amount to 120,000 tons of polyethylene and 180,000 tons of polypropylene. The total capacity of the factory can reach 570,000 tons of products by 2021. The factory will produce 19 types of products made of polypropylene and 12 types of products made of high-density polyethylene. The products will be used, in particular, in the food and medical industry, as well as in agriculture and automobile production. The total investment costs of the project are estimated at $816 million. The credit in the amount of $489 million has been allocated to SOCAR Polymer by Russian Gazprombank for a period of 10 years.